Bejing Chn-Top Boda Super-Hard Material Co., Ltd.
Henan ZT Super Hard Material Co., Ltd. Rigorous technology,stable quality,honest attitude and fast delivery are the best and only service we provide. Q2 :Can I add my logo on the items9 A:Yes,OEM is available and we provide one-on-one designing assistance. Q 3: Would it be possible for us to visit your factory9 A:Sure, we welcome you at any time! 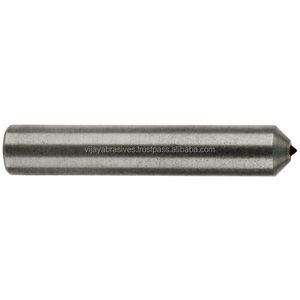 Sales and Services represent the Best Diamond Tool Manufacturers in the Business. Talentool offers a diverse range of products and solutions at affordable prices. Small or large, your request will be met with expert advice, individualized attention, and innovative solution. We make use of specific quality diamonds, which are mounted in holders using special bonds. 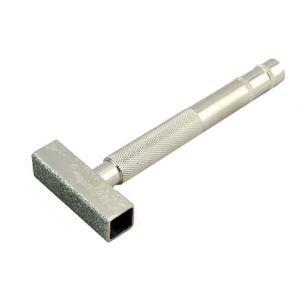 The Single Point Diamond Dresser is more versatile dressing tool, which is used for turning and dressing of grinding wheel. They are made of carefully selected raw diamonds mounted in holders by means of special bonds. 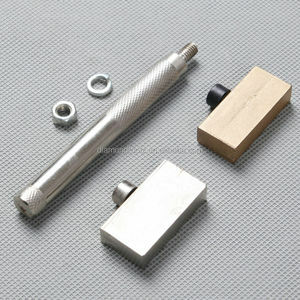 &gt;&gt;Single point natural diamond grinding wheel DRESSER diamond dressing tools diamond dresser &gt;&gt;The features for our ND-V angle diamond dresser: 1.Higher Output diamond dresser 2.different size dresser availiable 3.diamond size from 0.1ct-5.0ct We are as the 25years experience and professional manufacturer in diamond tools,we can make the diamond tools as your demand or drawing,For diamond tools Shanghai Nature Diamond tools Factory are the best choices for you. &lt;&gt; high quality cone type diamond dressers Application for our ND-V series diamond dressing tools: The product angle precision grinding for tool grinder, grinding machine inside the arc, outside the arc grinders and other precision molded wheel trim For normal abrasive wheels and abrasive wheels for Bearing For processing of Input shaft / Output shaft For procession of Crankshaft and Gear &lt;&gt;The Specification for our ND-V series diamond dresser: Model Angle(V) Shape Dimension Application VO60(T) 60 O( Conical) 1.&oslash;3X50 2.&oslash;6X50 3.&oslash;8X50 4.&oslash;10X50 5.&oslash;12X50 Angle in radians is mainly used for the mold industry, the bearings industry, and other fine grinder small wheel trim. VH90(T) 90 VH110(T) 110 &lt;&gt;The more detail information about our ND-V series diamond dressing tools: Packaging & Shipping The Packing for our ND-V series diamond dresser: Our Factory:Shanghai Nature Diamond Tools Factory Shanghai natural diamond tools factory is specialized in the development, production and sales in diamond tools in one company, More than twenty years we have been focused on the development of diamond tools, and the creation of brand names registered ND, has formed wheel dressing tools, single crystal diamond ultra-precision cutting tools, PCD / CBN cutting tools, diamond side head, diamond file, and other brand name products, widely used in auto parts, bearings, cylinder, steel, electronics, 3D case, glasses, aviation, paper, wood and other industries. Beijing Chn-Top Sci & Tech Co., Ltd.
Can make according to your require dimension and do OEM service. Q: What is your terms of payment 9 A: Payment&lt;=1000USD, 100% in advance. 6989 Welcome to visit our booth at IMTS2016: CHN-TOP SCI&TECH CO;LTD Booth No. Wenling Keying Abrasives And Grinding Tools Co., Ltd.
Kunshan Naixin Diamond Tools Co., Ltd.
Xiamen PRC Precise Tools Co., Ltd.
Yongkang Uking Technology Co., Ltd.
Zhejiang Blue Bird Technology Co., Ltd.
3.It is suit for cutting all kinds of metal,steel,stainless steel and stone etc. Features: Cutting resistance,sharpness,high effciency,safety and economy. Features:High strength,durablity and sharpness,high effciency and safety etc. Zhengzhou Lichi Trading Co., Ltd.
4. T27 DC angle grinding wheel is forbidden to operate the grinding wheel with two sides. 6. 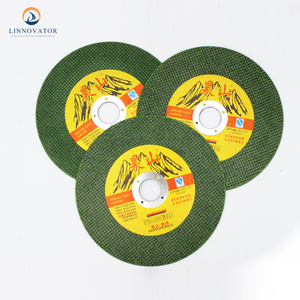 T27 DC angle grinding wheel is forbidden to overload using. &clubs; OE M Custom fabrication according to your drawings ,samples or designs. 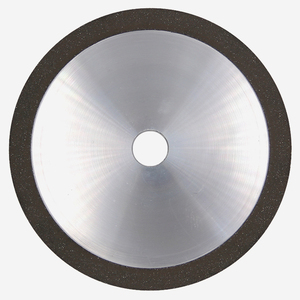 Ningbo All-K Marine Co., Ltd.
Diamond Grinding Wheel Dresser diamond abrasive/diamond fickert 1: Any grinding wheel benefits from periodic dressing to ensure it runs true or to restore its cutting ability after it has become glazed. 2: This inexpensive but effective dresser provides a broad registration surface to ensure a flat wheel face 3: The 36-grit diamond abrasive works quickly, yet leaves a smooth finish because of its dense pattern. Our products haven been successfully exported to many countries and areas around the world, such as USA, Germany, the UK, the Netherlands, Spain, Sweden, Japan, the Southeast Asia and Middle East, etc. 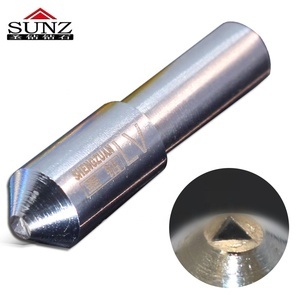 1) Dimension: 45 x 13mm 2) Diamond grit: #36, or upon request 3) Coating: nickel, chrome, titanium available 4) Used for shaping, smoothing & removal diamond grinding wheel Jiangyin Huaxing Diamond Tools Factory, as one of the leading factories in China, is specialized in the fields of diamond tools and Tungsten Carbide Rotary Burs. 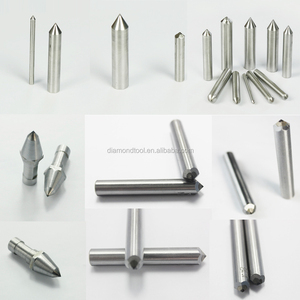 Our main products include diamond files, diamond saw blades (diamond wheel, disc), diamond whetstones (diamond sharpening stone), diamond mounted points (bur), diamond core drill bits (diamond hole saw), diamond grinding and cutting wheels (diamond polishing wheel) and carbide rotary burrs (tungsten carbide burs) and so on. With good quality, competitive price and prompt delivery, we are enjoying good reputation from customers all over the world. 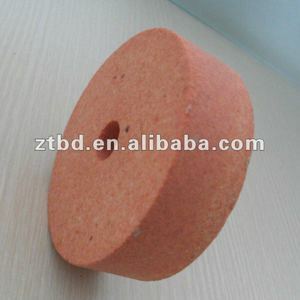 Foshan Sinta Abrasives Co., Ltd.
Alibaba.com offers 912 grinding wheel dresser products. About 53% of these are abrasive tools, 1% are dressers. A wide variety of grinding wheel dresser options are available to you, such as abrasive block, abrasive disc, and sanding screen. You can also choose from free samples, paid samples. There are 799 grinding wheel dresser suppliers, mainly located in Asia. The top supplying countries are China (Mainland), India, and Taiwan, which supply 95%, 2%, and 1% of grinding wheel dresser respectively. Grinding wheel dresser products are most popular in North America, Domestic Market, and Southeast Asia. You can ensure product safety by selecting from certified suppliers, including 220 with ISO9001, 15 with Other, and 4 with ISO14001 certification.